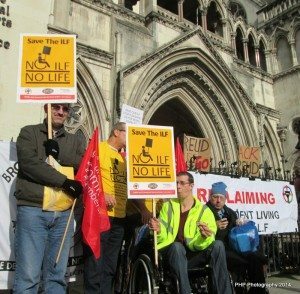 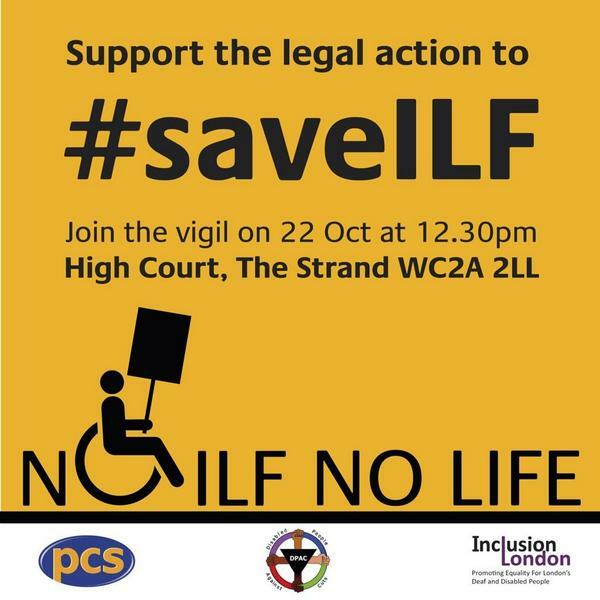 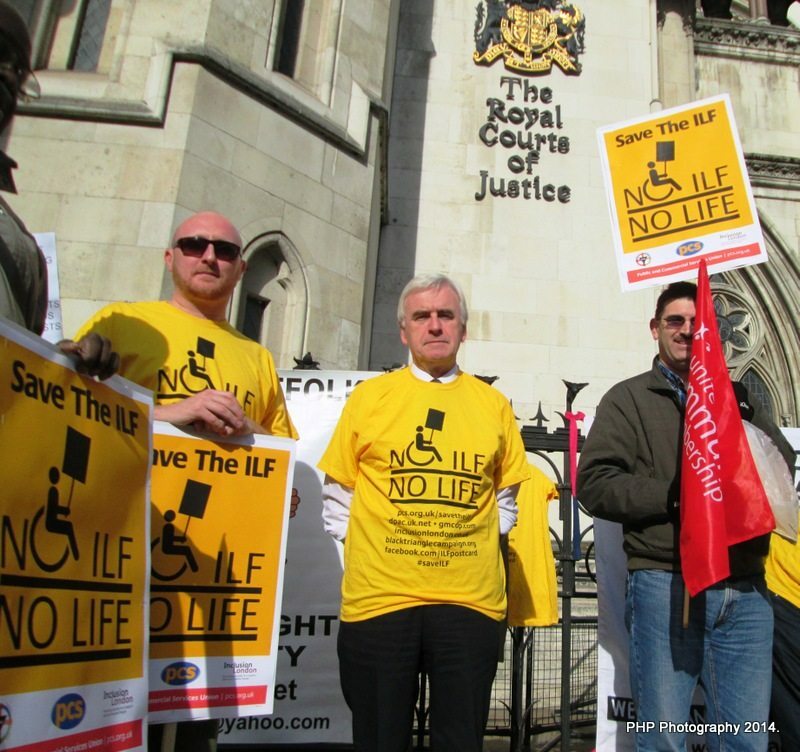 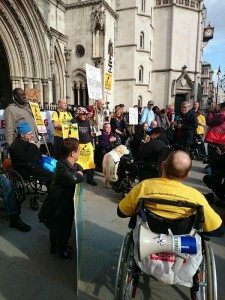 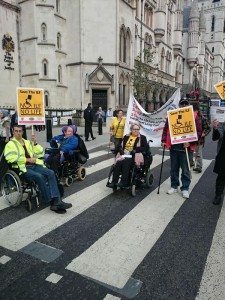 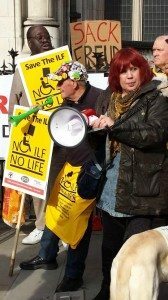 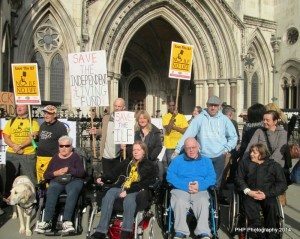 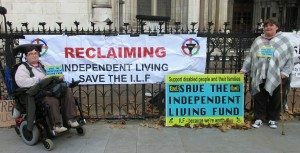 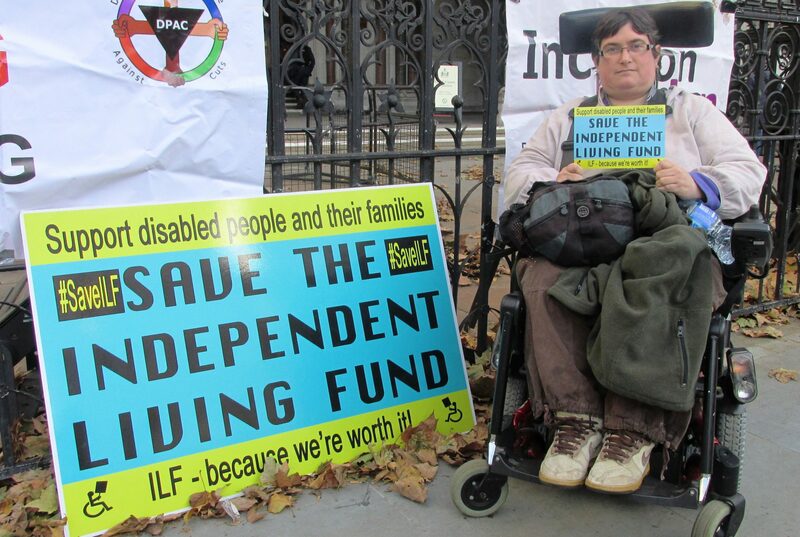 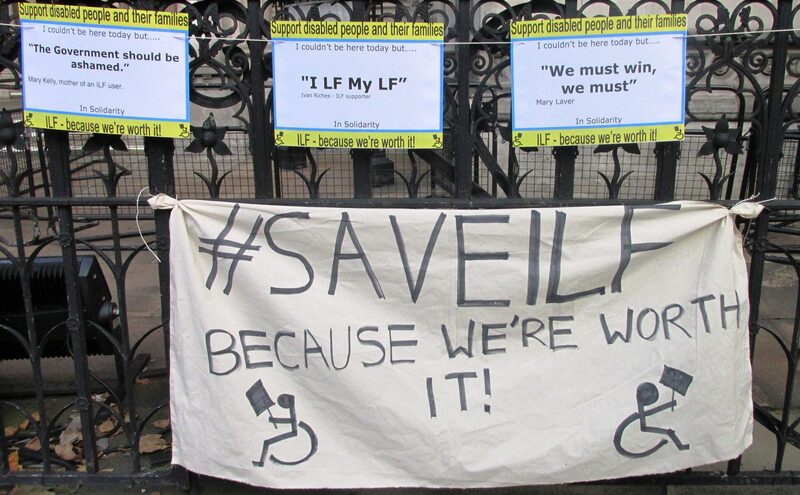 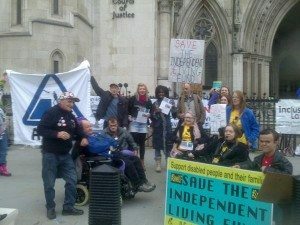 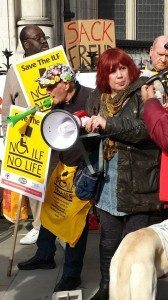 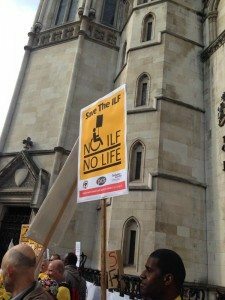 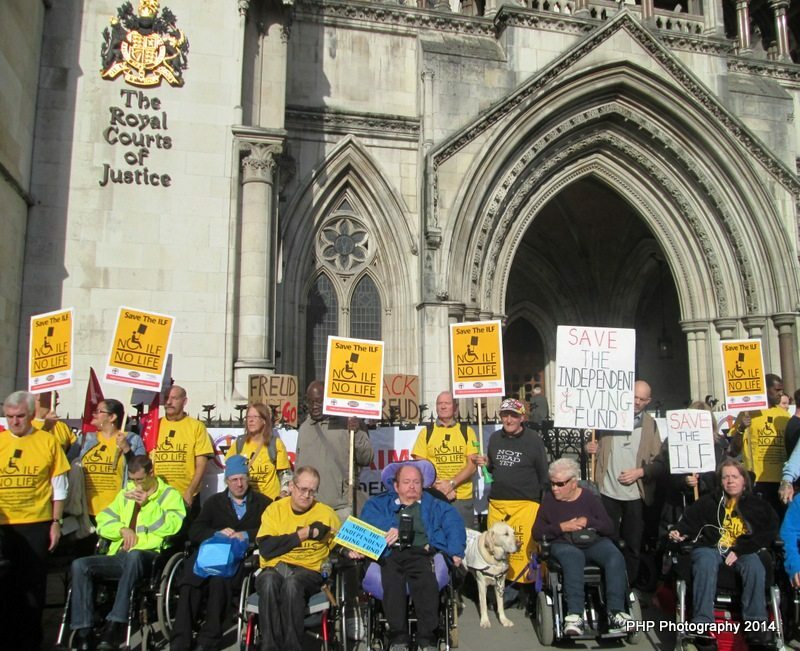 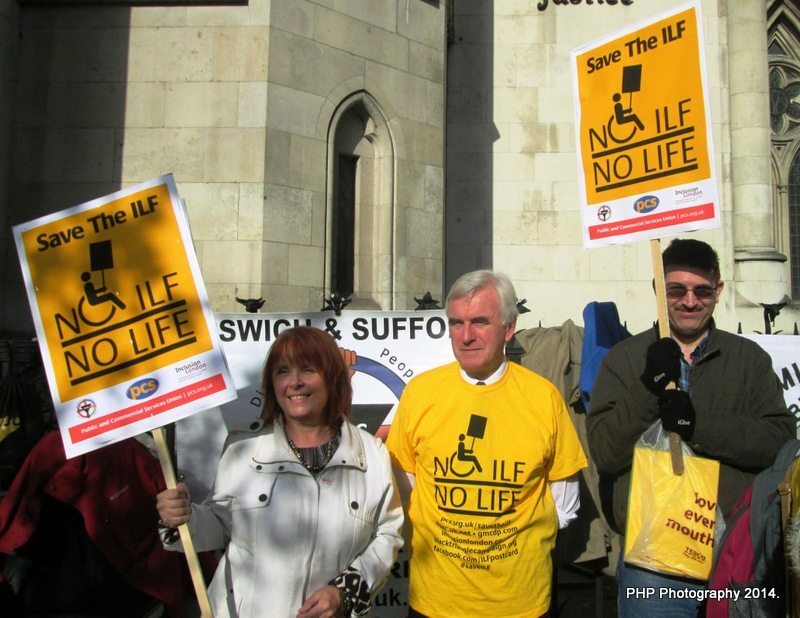 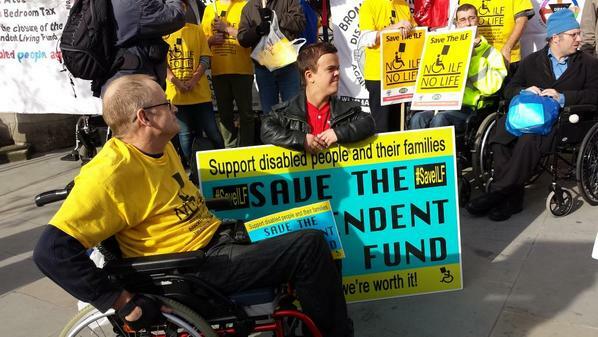 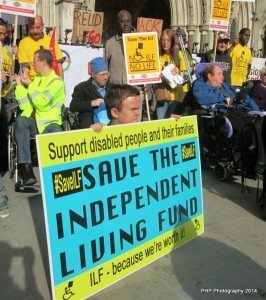 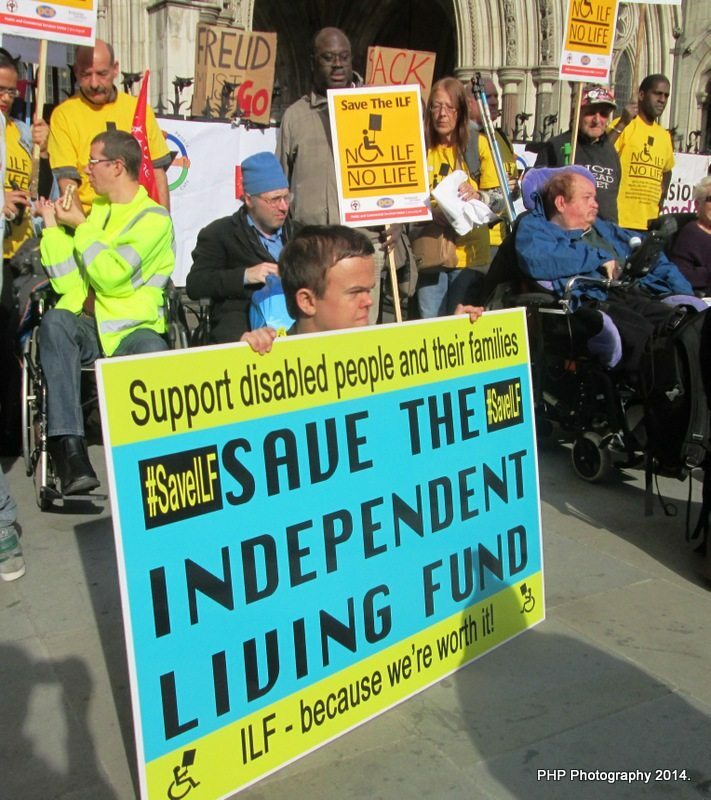 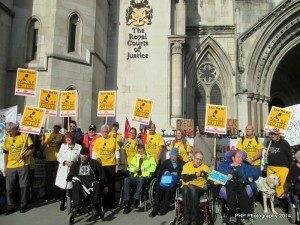 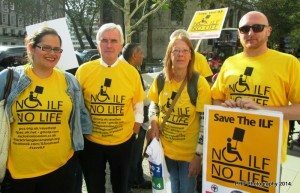 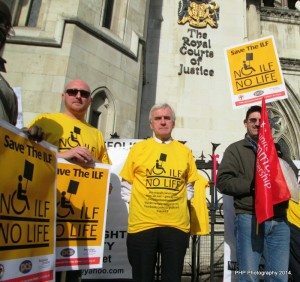 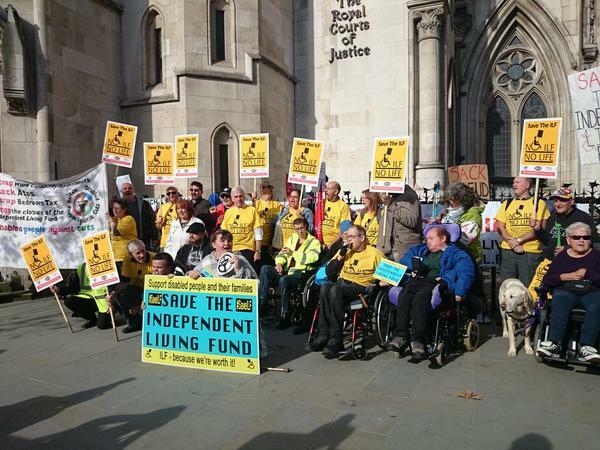 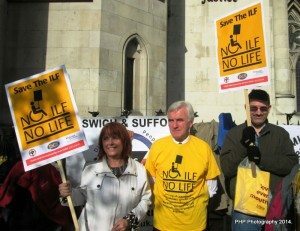 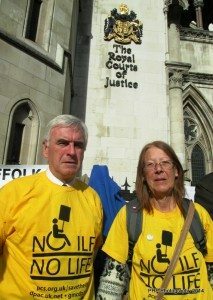 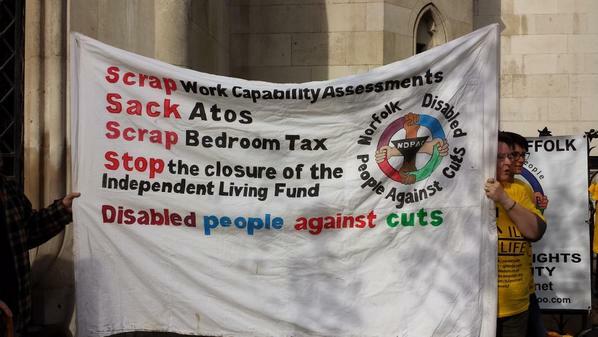 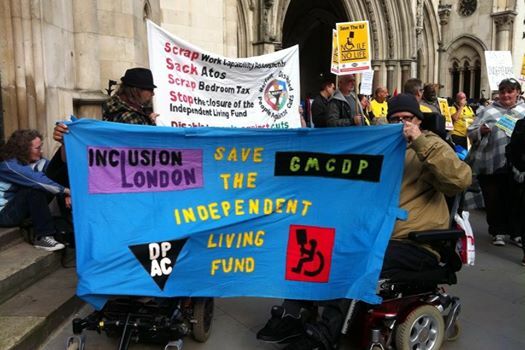 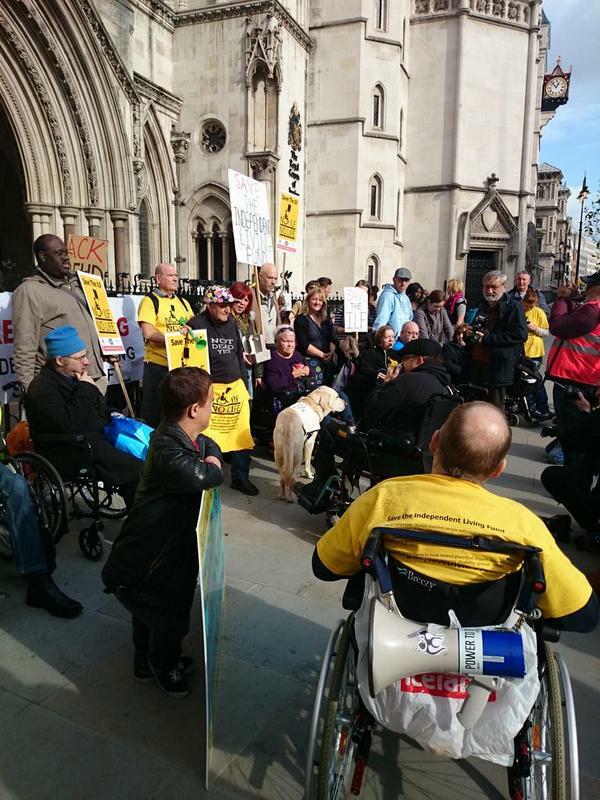 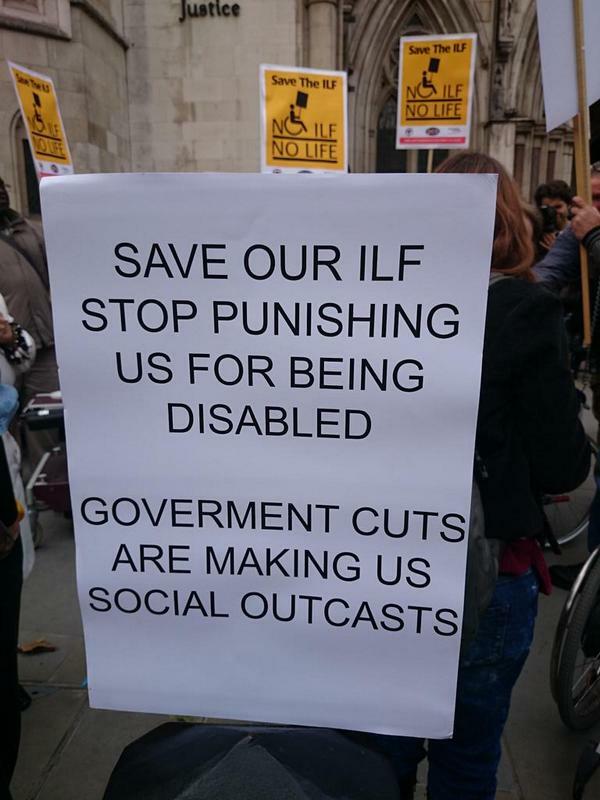 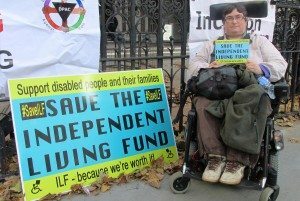 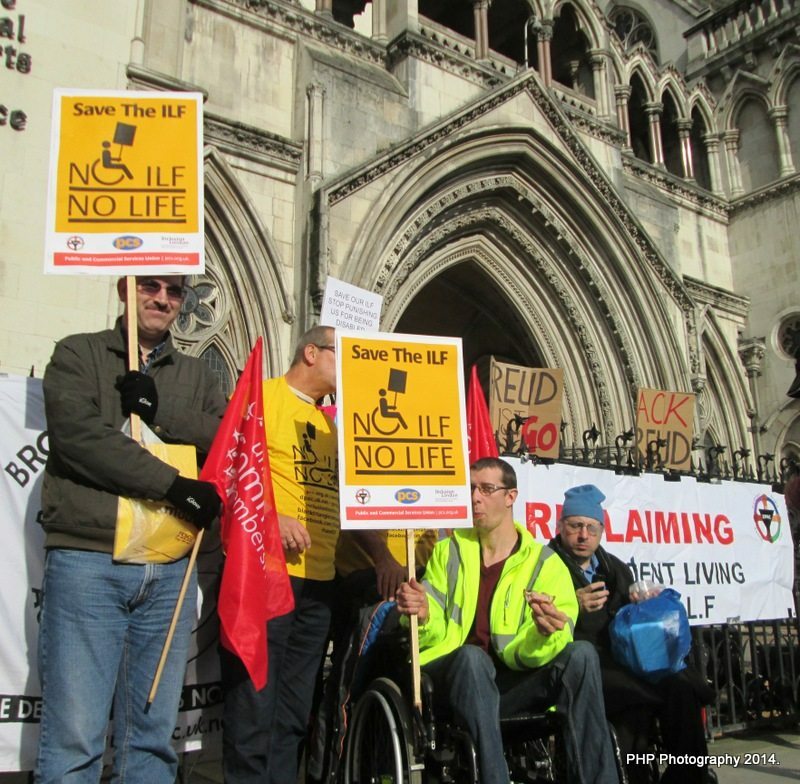 Today was the first day of two days of a second court case against the DWP against the closure of the Independent Living Fund. 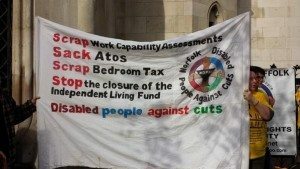 Messages of support poured in. 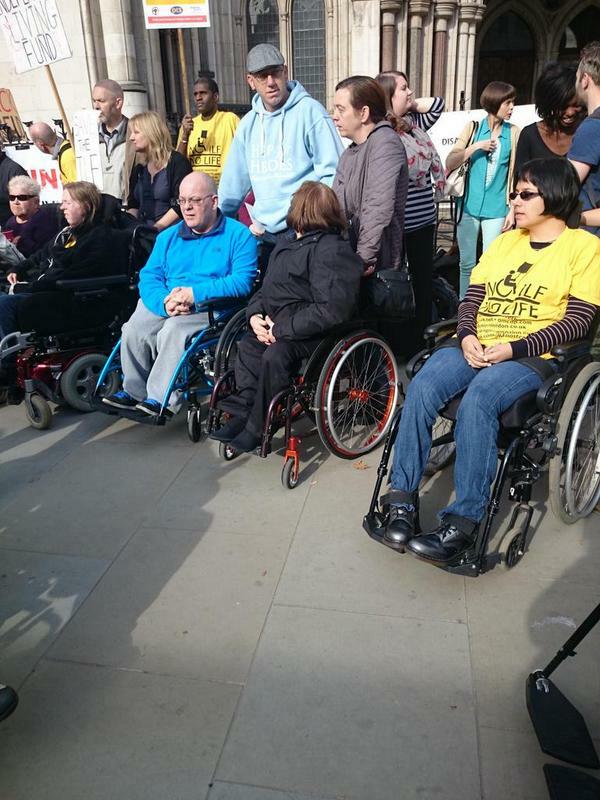 Many people turned out to support the vigil. The Strand was later blocked , as Kate Belgrave said : blocking roads is not extreme, cutting care is. 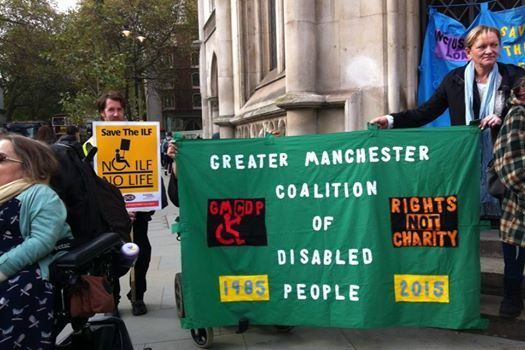 There was wide support from Inclusion London, Norfolk and Suffolk DPAC local DPACs, the Greater Manchester Coalition of Disabled People, Transport for All, Winvisable, PCS Union, the TUC, Ros Wyne Jones Real Lives at the Daily Mirror, OCAP and from as far as Toronto Canada where a simultaneous vigil was held. 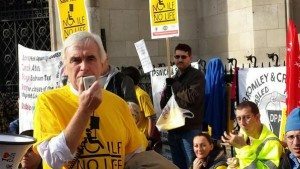 John McDonnell MP a great supporter of DPAC also came to speak. 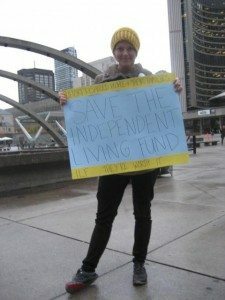 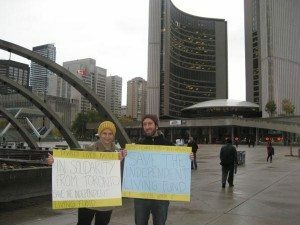 Many messages of support came through some of which are below. 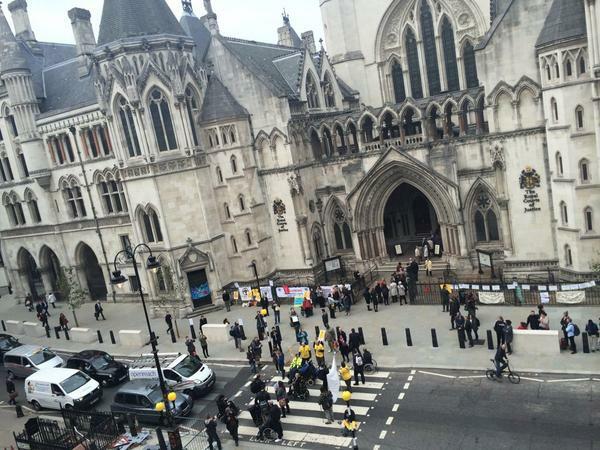 “Good luck. 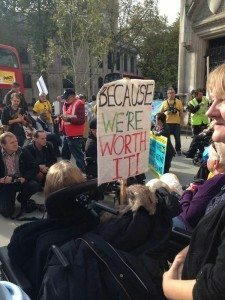 You are courageous. 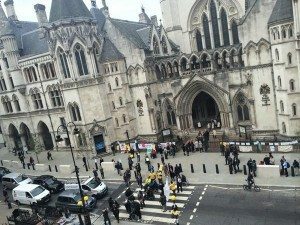 The world is watching”. 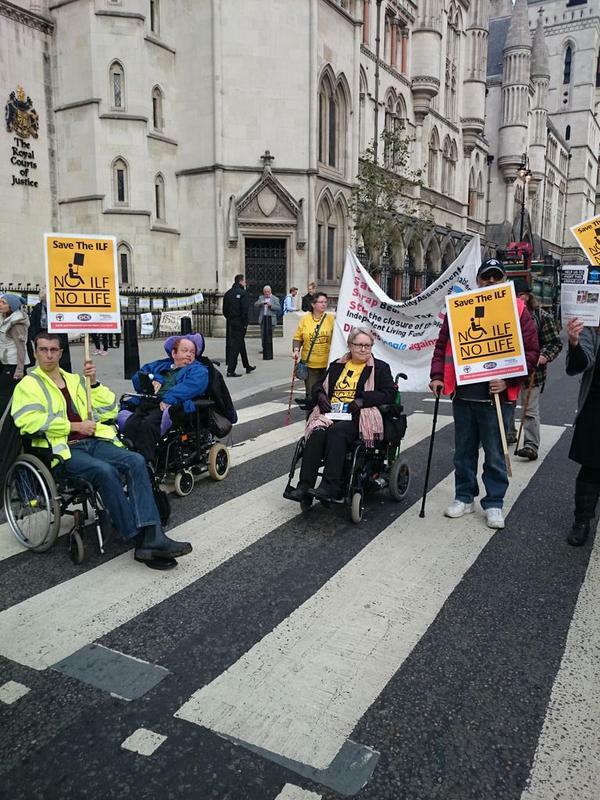 (left to right) – Mark from PCS Union who is equalities officer, London. 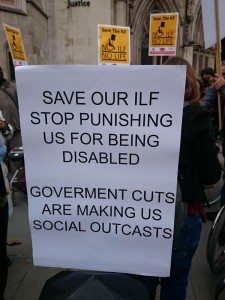 Linda Jack liberal left, Liberial Democrats. Natasha Burgess, Campaign and policy officer PCS Union, London. 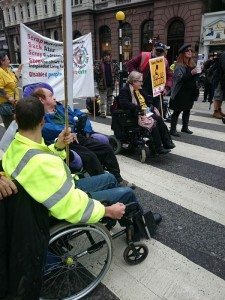 Mark, eqaulities rep PCS London. 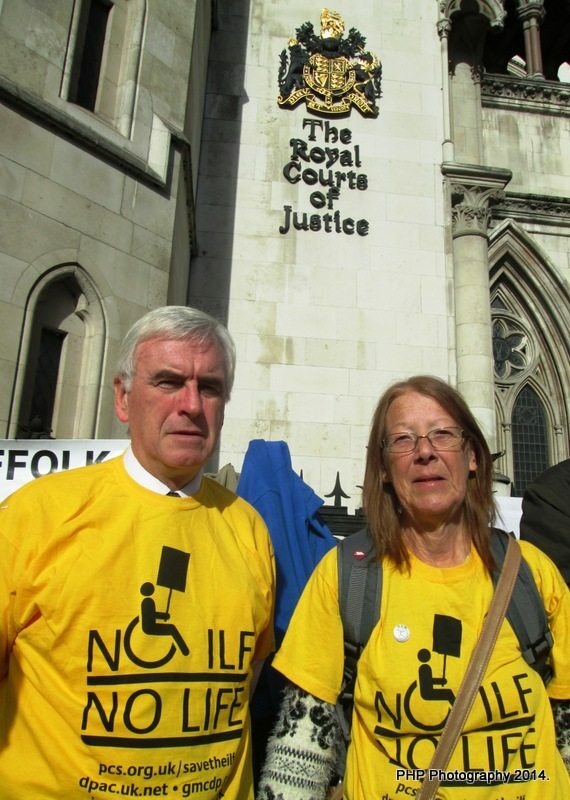 John Kelly outside royal courts of justice London.